Charter a private flight to Dublin, the capital city of the Republic of Ireland and a major center for Irish arts, music, culture and entertainment. Whether flying private for business or leisure, we can help arrange the perfect aircraft for your flight. Hiring a private jet to/from (EIDW, DUB) Dublin Airport is the most comfortable, secure and comfortable way to fly, and ACA is here to offer the highest standards in executive and leisure travel. Air Charter Advisors, a leading private air charter broker for corporate and leisure jet rentals, offers on-demand private jet and helicopter charter service to/from Dublin, Ireland. We have access to a variety of private jets, turbo-props and other aircraft based in Ireland for domestic travelers, and we can access thousands around the world at a moment’s notice for international charter flights to Ireland. 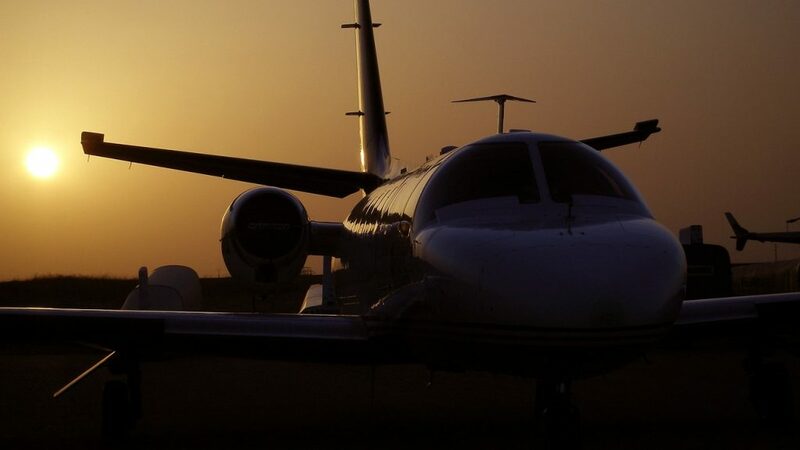 Our company holds some of the highest service and safety standards in the private aviation industry, and that’s exactly what you want when working with a broker. ACA will be available 24 hours a day and 7 days a week to ensure that your needs are met exactly when needed, whether you’re in the United States or a resident of Ireland. Our private jet charter company is Wyvern-certified, and all of the aircraft we use for flights to Germany are operated by FAR Part 135 or 121 (or foreign equivalent) air carriers. Our team offers personal, all-inclusive private air charter service to C-level executives, VIP/celebrities, government officials, personal assistants and leisure travelers from around the world. Enjoy the peace of mind you get from working with a broker you can trust, and ACA will become your aviation solution for luxury air travel, aircraft acquisition and private jet management throughout Ireland. Request a quote now, or give us a call to book your private flight. From arranging gourmet in-flight catering, luxury ground transportation, helicopter lifts and any other requests you may have – consider our Dublin Private Jet Charter Service your one-stop shop for all things private aviation in the capital of Ireland. Private jet clients traveling to Dublin typically arrive at (EIDW, DUB) Dublin Airport, the busiest airport in Ireland. Dublin Weston Airport is available for turbo-prop and piston aircraft flying domestically, while government and military officials can charter a private flight to/from Casement Aerodrome, a military airfield located just outside of the city. Air Charter Advisors has access to the following Wyvern-certified aircraft for your private flight. All of the aircraft we utilize for charter service to/from Ireland are operated by FAR Part 135 or 121 (or foreign equivalent) air carriers, using only veteran pilots in the private jet you’re renting. ACA will provide you with a aircraft options based on the goals of your trip, allowing you to charter a cost-effective aircraft, or the most luxurious, stylish corporate jet on the market. Check out our Aircraft Gallery for more details on all of the aircraft available for your trip. 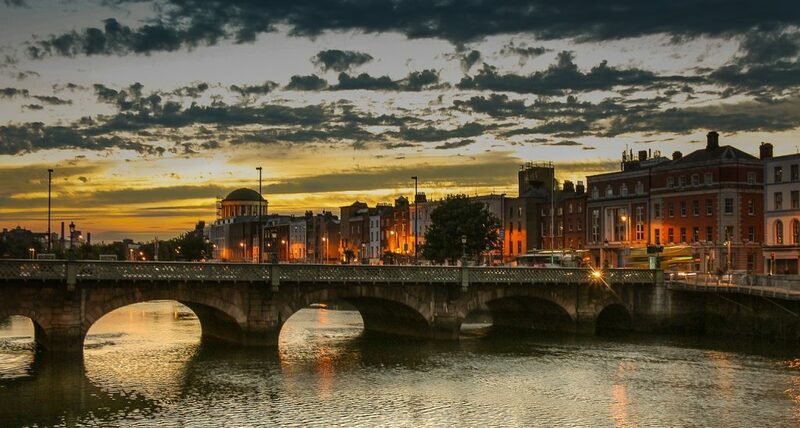 Fly private air charter to Dublin, an exceptional city supporting over a third of Ireland’s population while making way for a slew of tourists every day. The nightlife and historical sites can keep you busy for weeks, but we’ve written this article so that you have a bit of direction. Dublin is separated into halves by the River Liffey. One side is generally considered the pub district, while the other is full of retail stores, boutique shops, and upscale restaurants. Grafton street is probably the most popular and makes for a great starting point. Even seasoned shopaholics will be impressed by the expansive list of stores such as John Brereton Jewelers, Fitzpatrick’s Shoes, and The Decent Cigar Emporium. While traversing cobbled streets, you’ll have noticed a bit more of the city than just the pubs that litter every corner, especially the architecture. The city is full of medieval and Gothic structures that will turn travelers into open-mouthed and wide-eyed onlookers. St. Michan’s Church, the Farmleigh House and Estate, and The General Post Office (yes, even the post office) are all wonderful examples of Georgian architecture seldom seen elsewhere. When planning a trip to Dublin, you may want to reserve a day to visit Trinity College; it’s one of the oldest learning institutions in existence, and is visually stunning; some of the buildings date back to 1592! If the amount of history to be felt on the campus grounds isn’t enough for you, Trinity College is also home to The Book of Kells. Written in Latin by Celtic monks way back in 384 AD, looking upon this antique of human culture is generally described as nothing less than ethereal. So as you probably know, Dublin is very old. Founded in 841 AD, the whole city is basically a historic site, but there are still a few places worth mentioning above the rest. Drimnagh Castle and St. Patrick’s Cathedral are two such places that shouldn’t be overlooked; the imposing architecture alone is worth chartering a private flight. For a learning experience, Killmainham Gaol offers the most in depth story. A guided tour will take you through this expansive and haunting prison, and will give you an interesting perspective on the local history. Within walking distance is Powerscourt Centre. This area mainly caters to the more affluent crowd, boasting a wide array of very upscale and posh boutiques. As you continue walking you’ll eventually happen upon Dawson Street, which is fortuitous for you because you’ll most likely have worked up an appetite at this juncture. Gourmet restaurants such as Marco Pierre White Steakhouse & Grill can be found here. Check out more of our recommendations for for things to do after your private flight to Dublin, Ireland. Most frequented and popular shopping district in town. Most golfers visiting the area play Portmarnock Golf Club, a top-100 course just minutes from the tarmac at (DUB) Dublin Airport. 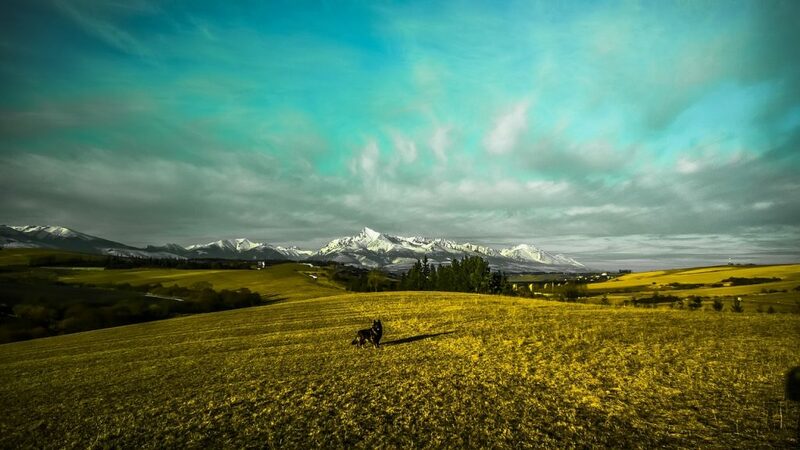 From there, you’ll find outstanding golf links in every direction. Some head north to Royal Portrush or Royal County Down in Northern Ireland; others bring their clubs south to the European Club in Wicklow – however, the majority head west to play renowned courses including the Old Course at Ballybunion, and Lahinch. There’s no need to travel cross country to enjoy a good round. 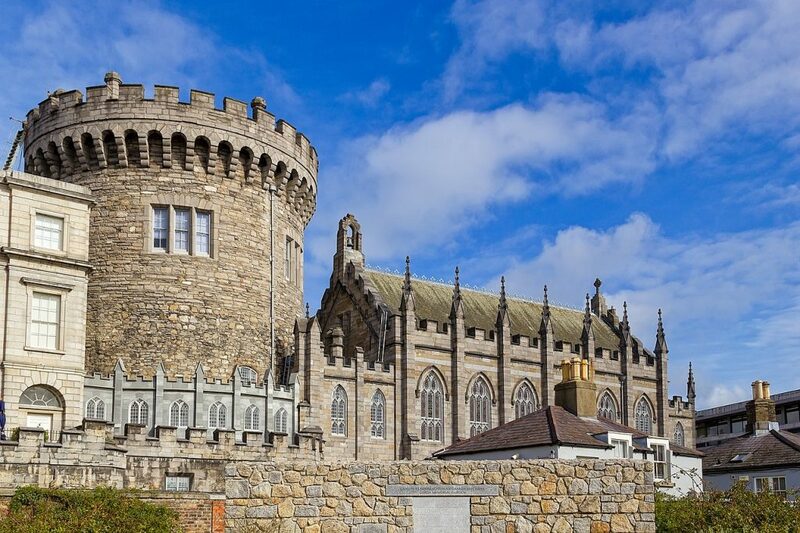 Dublin has become one of the most interesting cities in Europe, where people visit to worship at its churches and pubs, often in the same afternoon. It’s also become a premier destination for golfers who know about the quality links north of the city. Although Portmarnock remains the top draw, consider playing at some of these top golf courses in the area after your private flight arrives. Dublin, the capital of Ireland, is a popular tourist destination in Europe. The city has a lot to offer private luxury jet travelers, from Oscar Wilde’s favorite pub and the friendliest locals of any big city, to a variety of hotels and resorts for luxury getaways, business trips and special events. The following list of our top choices was created based on passenger feedback, location, amenities and online reviews. Our brokers can also arrange ground transportation to bring you to the hotel or resort of your choice after arriving. The Irish are famous for knowing how to throw back a few drinks every now and then. The pubs in Dublin are one of the main attractions in the city, offering a taste of traditional Irish beers and spirits to go along with a dash of some of the most wild nightlife in Europe. Check out a list of ACA’s favorite local Pubs. Air Charter Advisors utilizes the following airport to fly clients privately to/from Dublin, Ireland and neighboring areas. Fly private charter in a piston, turbo-prop, light jet, mid-size jet or heavy jet. If you don’t see your preferred airport listed here, please contact one of our jet charter brokers. Rent a private jet and fly to Dublin Airport (IATA: DUB, ICAO: EIDW), an international airport serving the capital city of Ireland. The airport is located 6 miles (10km) north of the capital in Collinstown, Fingal. United States border pre-clearance is available for U.S.-bound passengers; Shannon Airport is the only other airport in Europe to offer this facility. DUB handled nearly 28 million passengers in 2016, the airport’s busiest year on record. It’s also home to the the most air traffic on the island of Ireland, followed by Belfast International Airport. (DUB) Dublin Airport features two runways large enough to accommodate any size private jet and select airliners, and a new runway is scheduled for this year, to be completed in 2020. There are three FBO operated at the airport offering a variety of services for private jet travelers. Fly private to Casement Aerodrome (ICAO: EIME), also known as Baldonnel Aerodrome, a military airfield to the southwest of the city. It is the headquarters and the sole airfield of the Irish Air Corps, and is also used for other government purposes. If you need to arrange a private flight for an elected official, we specialize in governmental jet charter service not only domestically, but also internationally. Charter a piston, turbo-prop or helicopter to Dublin Weston Airport (ICAO: EIWT), also referred to as Aerfort Weston, a public general aviation airport serving the capital of Ireland and surrounding areas. (EIWT) Weston Airport is located about 10 miles west of the capital, and it primarily services private and commercial flight training as well as business/executive charter flights; Weston Airport offers FBO services at the airport. There’s is only one runway available at Weston, 7/25, an asphalt runway measuring 3,030 feet long. Although private jets can not utilize this airport, it’s prefect for lighter aircraft traveling domestically or across the Irish Sea to the United Kingdom. Request a Quote or give us a call at 1-888-987-5387 to speak with one of our Dublin Private Jet Charter service brokers for your next luxury vacation, business trip, or special event.